Blueberries - A high-quality source of antioxidants. DHA- To help support cognitive development in puppies. Omega 3 and 6 Fatty Acids - To help promote healthy skin and coat. Oatmeal, Barley, Oat Flour, Rice Bran, Blueberry, Yogurt, Oat Fiber, Flaxseed (source of Omega 3 & 6 Fatty Acids), Cane Molasses, Carrots, Fish Oil (source of DHA-Docosahexaenoic Acid), Canola Oil (source of Omega 6 Fatty Acids), Salt, Calcium Carbonate, Ascorbic Acid, Vitamin E Supplement. 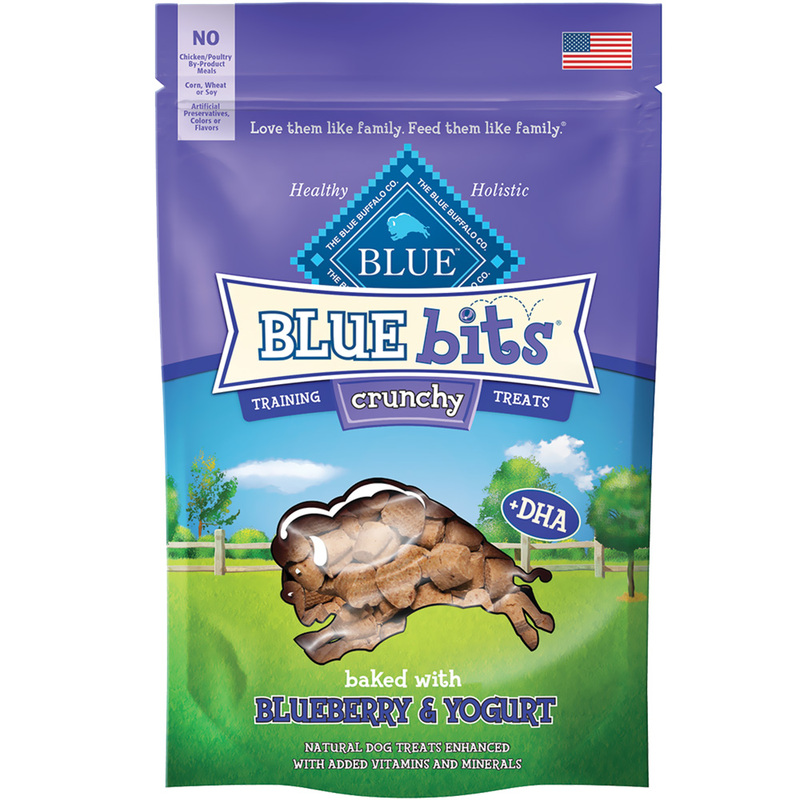 While your furry friend would probably love to eat the whole bag, BLUE Crunchy Bits are training treats intended for intermittent or supplemental feeding only. They’re an ideal reward for dogs of all ages, sizes and tastes.